Euro is still being corrected. I’m keeping my buy order with target close to several upper fibo-levels. I’ll move stop into the black as soon as price breaks latest maximum. 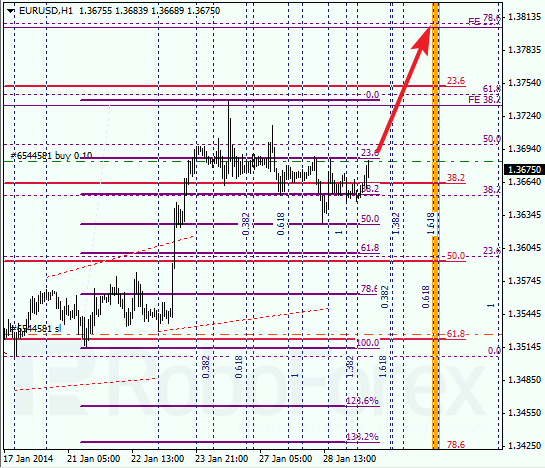 At H1 chart we can see, market reached local correctional level of 50% and rebounded from it. 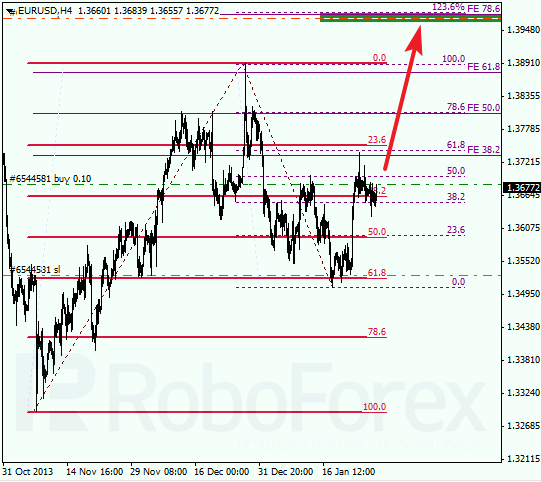 In the future, price is expected to continue growing up towards intermediate target at level of 1.3810. Franc is also still being corrected. I’m keeping my sell orders with target at several lower fibo-levels and planning to increase my position as pair continues falling down. 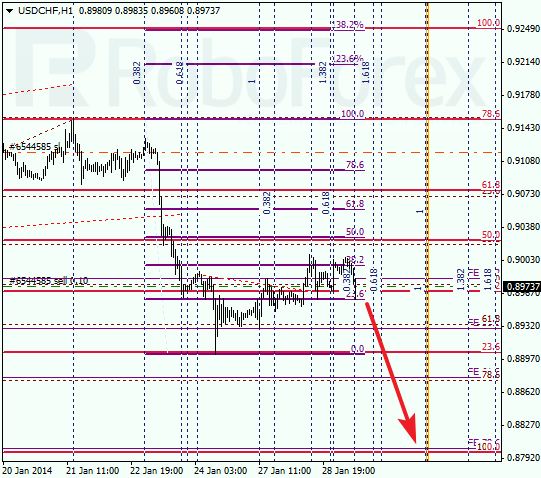 As we can see at H1 chart, price rebounded from level of 38.2% twice. I’ll move stop into the black as soon as price breaks local minimum. 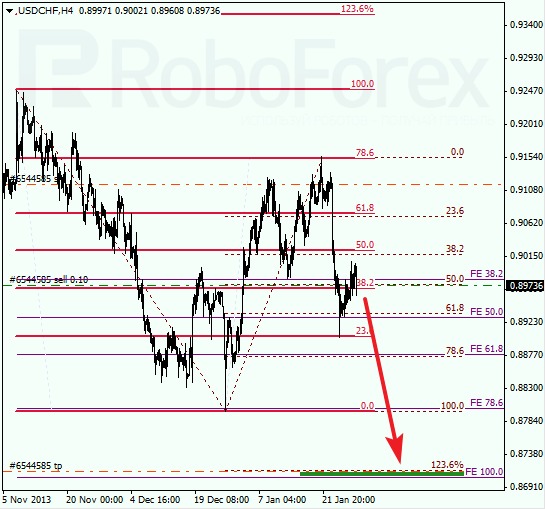 Closest target for bears is near several fibo-levels at 0.8800.